Do you feel that every spot of your house, office or grow room is not at the same temperature always? This situation can create some problems for you. By using a suitable duct booster fan, you can easily solve this problem. Heating, ventilation & air control can be performed through the duct booster fans. This is known as HVAC. By performing these, they can solve the uneven hot or cooling problems. The duct booster fan boosts the air flow of the room. It spreads the air in the whole room to maintain the same temperature in the room. It is an effective way to control the air of a room. The duct booster fan needs the small amount of energy to do its work. The price of this kind of products is quite reasonable. You can easily find it in the market and bring it for your work. Now, you have to understand that will it work or not for you. 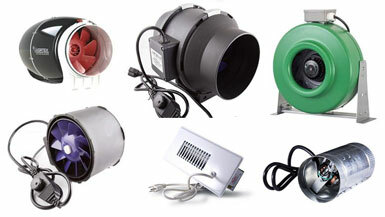 Most of the cases, the duct booster fans work excellently for home, office, grow room, greenhouse etc. But in some cases, they don’t work effectively because of wrong selection and miss-matching for your work. So, read the content throughout if you want to get a clear idea. If you do that, hope you can understand what kind of duct booster fan you need and the device will work for you or not. Why Do You Need the Duct Booster Fan? Using the booster fans are effective solutions for some common problems. It spreads air everywhere in the room and thus maintains the temperature and air pressure. Other processes are more costly than the duct booster fan. Here are some beneficial points to understand why people use it. It is a common situation that your house’s temperature will not same for every part. This situation is also common for the office, greenhouse, grow room etc. This is a great problem for your comfort and works. By using the duct booster fan, you can solve this problem. This type of fan spreads the room’s air in every part of the room. So, when it is the hot season, the booster fan spreads the cool air every part of the room and vice versa. This is how the uneven temperature problems can be solved by using the booster fan. HVAC indicates heating, ventilation & air conditioning. When you use or going to use the duct booster fan for your work, you can manage the HVAC quite easily. These three things are very important factors for a room environment management. A duct booster fan controls the heating of the room air. You can use the fan as a good ventilator and control the ventilation system. When you use a central air conditioning system, you have to ensure that every room of your system will in the same air temperature and pressure. If you use a duct booster fan, you can easily control this situation. The installation process of the duct booster fan is quite simple. Anyone can complete the task easily. The maintenance of the fan needs almost nothing. The duct booster fans are quite reasonable in price. They are easy to install, maintain and control. They also need the small amount of electricity to operate. It can ensure a great saving for your work. On the other hand, other processes of duct management are more costly than the booster fan. The duct booster fan can complete the duct works quite easily. They have these advantages also. 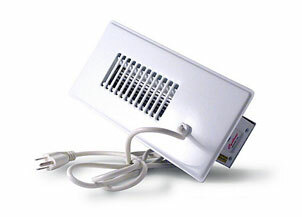 If you want to manage your room’s HVAC by a money saving and effective way, you may need the duct booster fan. Why the Duct Booster Fan is Important for the Grow Room? 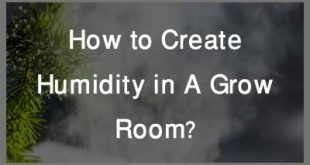 For the grow room, it is necessary to maintain the ideal humidity, HVAC, and air balance. The grow room’s air factors are not controlled by its own. You have to handle it wisely. For this reason, the duct booster is an ultimate choice. Almost every grow room contains the duct booster fans. It controls the air flow and thus performs this works for the grow room. 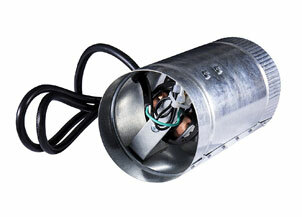 The duct booster fan solves the uneven heating or cooling of the grow room quite simply. It performs as the exhausting system for the grow room. It helps to maintain the normal air pressure and flow for the plants. 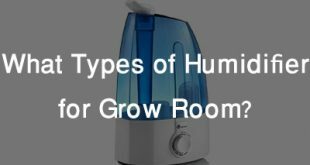 By the exhausting or exchanging between the grow room air and the natural air, you can maintain the humidity of the grow room. 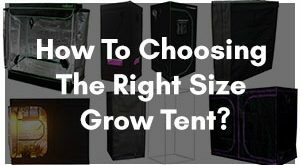 Which is really important for the grow room’s plants. 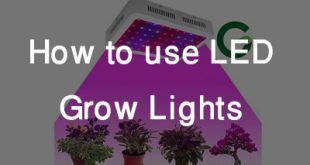 Moreover, it is an effective and money-saving device for the grow room. How Does the Duct Booster Fan Work? It is a quite simple process to understand. 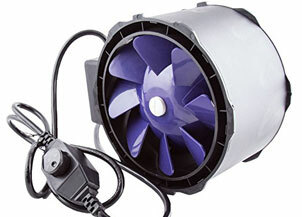 The duct booster fan has a strong motor that can rotate at super-fast speed and increases the air flow. It has a power controlling system, motor controller, and fan’s blades. Some advanced duct fan has thermostat, remote control system etc. features. The power controlling system ensures the suitable supply for the motor. The motor controller controls the motor’s speed. When the motor starts it work, the blades start to rotate and increase the air flow. It also creates a low-pressure zone at the top of the duct. The air tries to maintain the static pressure and it begins to move. That’s how the duct booster fan works. There are mainly two types of duct booster fans. They are registered as booster fan & inline duct-booster fan. You can understand the difference and their mechanism after reading this part. The register booster fan stays at the ceiling register of the room. You can also install it on the wall or floor of the room. That’s why it is called register booster fan. The installation process for this kind of fan is quite simple and economical. You can easily handle the register fan. It is only a plug and plays system to work. You can also add remote control system, thermostat etc. features in it. The register fan’s price range is about 30$ to 80$. The main disadvantage of the register booster fan is noisy. It creates much noise when it runs. Which can be problematic for you. But it varies from person to person. It is a great alternative for the duct works. The inline duct-booster fan is a cylindrical booster fan. It is a heavy-duty fan. You have to place this fan between the HVAC source and the selected room(s). It produces less noise than the register fan. For the installation process may need an expert electrician. Because some hardware and wiring works are needed and it is important to install it in the right location. There is various kind of inline duct-booster fans. You have to select the suitable for your workplace as your choice. Otherwise, it will not be beneficial for you. Here are some types of inline duct-booster fan. Inline duct exhaust fan, External mount duct fan, Centrifugal duct fan, Mixed flow fan, Rodon fan, Multi-port ventilation fan, Axial and propeller fan etc. These types also have different sizes for various kind of uses. Recessed duct fan is another type of ductwork fan. This kind of fan fits into the wall. You can easily maintain this fan as like as the register booster fan. Read here to know more about the best duct-booster fans. How to Install a Duct Booster Fan? For the installation, you don’t need any complex machinery or tool for this process. You may have these things in your house. But only for the inline duct-booster, you may take some help for the electrician. I have divided the whole into these steps for easy to understand. It is the first and foremost step for the duct booster fan installation process. The efficiency of this machine mostly depends on it. Because, if you choose the right place for the duct fan, it will provide the required services. Otherwise, it can be a loss project for you. It is ideal to install the duct booster near to the problematic room. Try to fit it on the ceiling or wall to avoid the waste of the room’s space. You have to ensure the installation point can easily get the electric supply line for the fan. It is necessary to check the connection and the fan throughout before the start of the main installation process. Because, if any problem remains in the connections, you can solve it easily before the installation. Otherwise, it will become more complex to solve. Check the outer surfaces of the fan. If you find any problem, you can replace the fan easily before the installation. If there is already space for the ductwork fan where you want to install it, you can easily complete the job. But most of the time, people don’t find this facility. For this work, it is ideal to take help from the professional. Without the safe and continuous power supply, the duct booster fan cannot give proper output. Unsafe supply system or connection can bring disasters. So, it is mandatory to ensure the safe power supply for the fan. Run at least two trials to ensure all the things are ok. If the duct booster fan works properly in the trial periods, the installation process is finished. Now, you will able to get the duct works and the HVAC works from the booster fan. If you want to get benefits from the duct booster fan, you must have to install it in the right way. Otherwise, you will face some problems to maintain the duct works. How to Choose the Best Duct Booster Fan? You have to consider some factors to choose the best duct booster fan for your work. They are the fan model, CFM capacity, static pressure, and loudness limit. If you find all of these in right the proportion in a duct booster fan for your work, it will the best and suitable for you. All the duct booster fans work output are same. But they are different for their size, capacity, method, and other features. It is necessary to understand what you really need. Budget is another key thing for the selection process. It varies from person to person. It is ideal to read the user manual and learn the feature benefits, pros and cons of the fan models before buying it. CFM stands for cubic feet per minute. It is an ideal way to determine the air exchanged capacity of a fan. A proper building code might have the information required CFM for a certain structure. Every model of the duct booster fan shows the CFM capacity as a feature of it. You can calculate the CFM for a room by using this formula. CFM = Room Volume / change per minute. Here is a CFM list for some workspace rooms that will help you to understand what you need for your work. The static pressure measurement is a vital fact for the selection process. To measure the static pressure you can use a manometer. The normal static pressure of the duct fan system is less than 2 inch SP. To maintain the normal static pressure in the room, you have to select the right fan. The duct booster fan produces a low-pressure region at the top of the exhausting area. The static pressure is also depended on the air velocity. You have to measure your room’s static pressure and bring the right fan that works efficiently in this static pressure. You can find the information in the duct booster fan’s manual. The common duct booster fans create noise and it is a normal occurrence. But excessive noise can bring trouble for your works. This varies from person to person. Try to choose the duct booster fan that creates less noise when it runs. Comparing can bring a good result for you. By comparing you can save money and get the more suitable fan for your duct works. If you compare the duct booster fan for your work, you can learn the benefits and drawbacks of those fans easily. It will save your valuable time also. Using a duct booster fan can give you more comfort in the case of room’s atmosphere controlling. The ductworks are very important for your house, grow room, and other workspaces. When you can maintain the duct works by using the right duct booster fan, why don’t use it? These fans are cheap and need the lowest maintenance works. They also use the low amount of electricity to run which is really good. The duct booster fan is a great solution for the room’s HVAC system. If you can find the suitable one for your work, it will work for you. So, hope you have understood what kind of booster fan you may need for your work and how to complete your work by using it.